The National Sheriffs Association recently hosted a webinar for municipal law enforcement agencies on areas to be focus that are receiving state and federal funding. There are many technology deployments that can be funded via state or federal grants. The two largest funding initiatives by the Department of Homeland Security are the Urban Area Security Initiative (USAI) and the State Home Security Program (SHSP). High threat/ high density urban areas receive the bulk this funding. 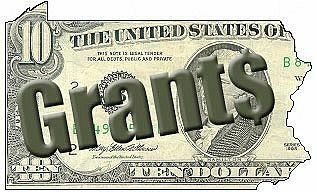 Grants Office offers an online grants research service which covers 55 states & US territories, 26 federal grant making agencies and more than 70,000 private foundations. In other words the can show you money, who has it and how net some for your department or municipality. As a Designated Anti-terrorism Technology Isotec Security Safety Entrances® may qualify for grant funding. This entry was posted in Anti-Terrorism, Courthouse Security, DHS, Federal Security, Homeland Security, Law Enforcement, Local Community Protection, Local Government Security and tagged Courthouse Security, DHS, Law Enforcement. Bookmark the permalink.